The Department of Mathematics is seeking applicants for one open rank position, to begin in March 4st, 2019. The candidates should possess a doctoral degree in mathematics. Candidates should have a distinguished research record and a strong commitment to excellence in undergraduate and graduate teaching in Spanish. The normal department duties include twelve hours per week (two courses). The University of Bío-Bío funds reseach projects, supports the participation in Congresses and economic incentives for ISI publications (US$ 1.800 each) and SCIELO publications (US$ 600 each). 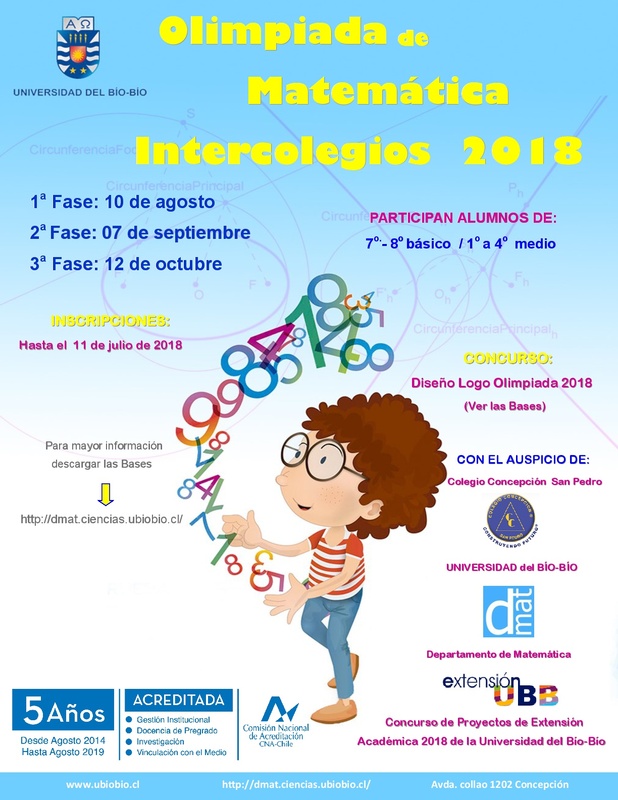 Also, Postdoctoral stayings will be supported..
A doctoral degree in Mathematics and show research production through publications in specialized journals (ISI), in the area of Analysis of Partial Differential Equations. Approve an oral and written sufficiency test in Spanish if the language of the applicant is not Spanish. Show sufficiency in handling the English language (basic communicational level). 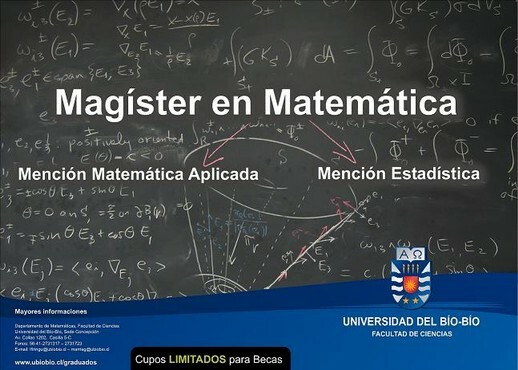 The applicant must take a test at the university of Bío-Bío. There will be a preference for those applicants who show publications of their specialty in indexed journals and those who have participated in research projects. Have experience in teaching at the university level. Accomplish the requirements to enter to the public administration. Sign a compromise of teaching and scientific productivity. Title and degree certificates. Curriculum Vitae, according to the format defined by the Academic Vicerectory of the University of Bío-Bío (www.ubiobio.cl/vra), with certificated documents. Proposal of Academic Development Plan according to attached form. Two letters of recommendation of renowned academics in the area of application, according to the attached form. Personal Interview. Starting Date for the Position: August 1st, 2018. Salary:According to the academic hierarchy of the applicant and the income model of UBB. Application Deadline: March 4st, 2019.